I try to get to this location at least once each fall when the Autumn colors are at their peak. 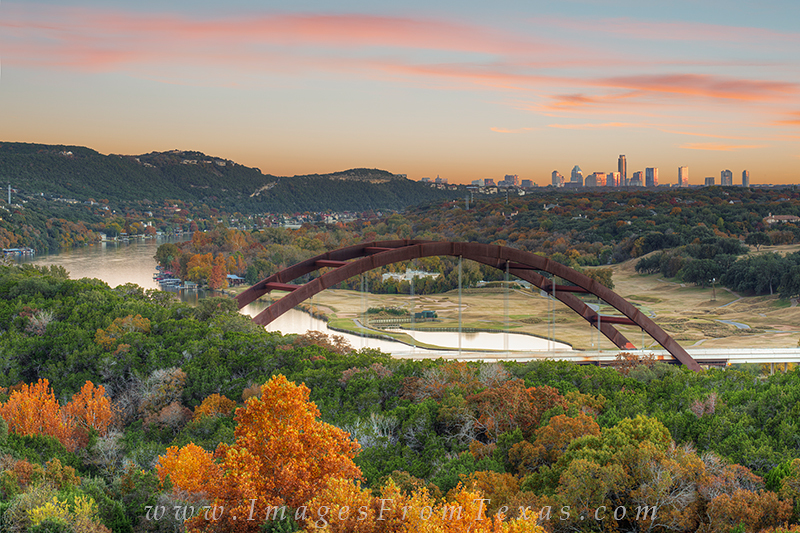 I love the 360 Bridge in the foreground and the Austin skyline in the distance. Beneath the bridge they Colorado River flows towards downtown, eventually winding through Lady Bird Lake and the Zilker Park area. Photo © copyright by Rob Greebon.